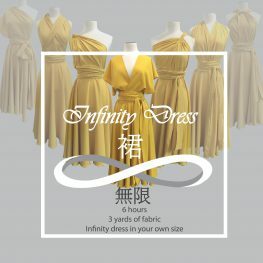 The 9-hour Infinity Dress course aims to enable students to make a dress that they can wear more ways than they can imagine. With long, movable straps that can be tied in a variety of ways, the possibilities for this gorgeous dress pattern are endless. Students have prior sewing knowledge would make and style the infinity dress.